Thu., May 31, 2018, 8:17 a.m.
MADRID – At least as a coach, Zinedine Zidane is going out on top. It was an unexpected move by the former great who won nine titles as Madrid coach, including the three UEFA Champions League titles, one Spanish league title, one Spanish Super Cup, two UEFA Super Cups and two Club World Cups. His decision to quit as Madrid coach suddenly left the Spanish club’s future in limbo. Zidane spoke little about his future but said he is not immediately looking to coach another club. Perez also didn’t talk much about the club’s search for a new coach, although several names are being talked about in local media, including Mauricio Pochettino, Antonio Conte, Joachim Loew and Arsene Wenger. 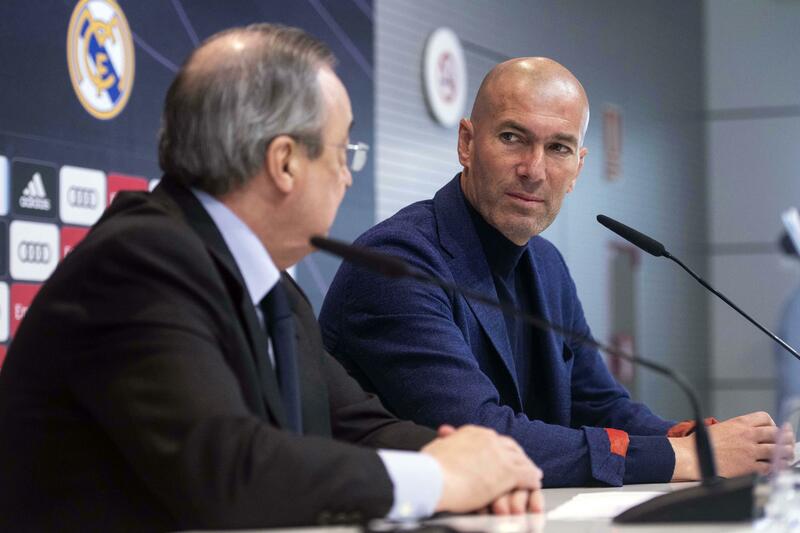 Zidane said there wasn’t a specific reason that led him to his decision, but apparently he saw enough signs to know things were not all perfect despite the good results. “After three years, (the club) needs a change in speech, a new work methodology,” he said. Zidane mentioned the struggles the team faced this season, including in the Spanish league and the Copa del Rey. Madrid finished third in the league – 17 points behind champion Barcelona – and was eliminated at home by Leganes in the quarterfinals of the Copa del Rey, a moment which Zidane said was the worst of his coaching career with the club. “As a coach, there were a lot things, like winning the Champions League, but if there was one specific moment, it was to win La Liga (in 2017). It was the greatest thing,” the Frenchman said. Published: May 31, 2018, 8:17 a.m.